Cozy Luxury, Convenient To Everything! Property 2: Cozy Luxury, Convenient To Everything! Property 6: NEW! Manc. Ctr. Guest House w/ Balcony & Mt. Views Minutes from Stratton & Brom. Property 7: Manchester winter rental Walk to town! Sunny, Updated, End-Unit Condo with an Awesome Southern View! Property 12: Sunny, Updated, End-Unit Condo with an Awesome Southern View! Property 15: Picturesque apartment on 5 private acres overlooking Bromley Mountain. Property 17: NEW! Bromley Mtn Condo w/Deck View - Walk to Lift! 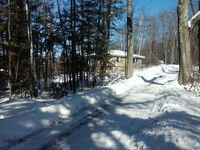 Property 19: 4 Bedroom Mountainside Condo - Enjoy Beautiful Vermont This Winter! Property 26: Bromley Mountain cozy condo. Quiet Cozy Private Room in owners condo! Property 29: Quiet Cozy Private Room in owners condo! 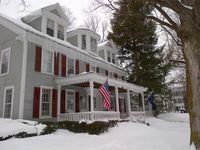 Property 30: REDUCED FOR SPRING SKIING!! Condo on Bromley Mountain with the Best View!!!! Our family enjoyed a stay at Skinner Cottage. It was clean, comfortable, and felt like a home away from home . We will stay again ! Thank you !